Another high quality housing model for national house builder. Taylor Wimpey, one of the largest home builders in the UK, have been regular clients of ours for over a decade and this project was one of three sales models we’ve made for them in the last eight months. 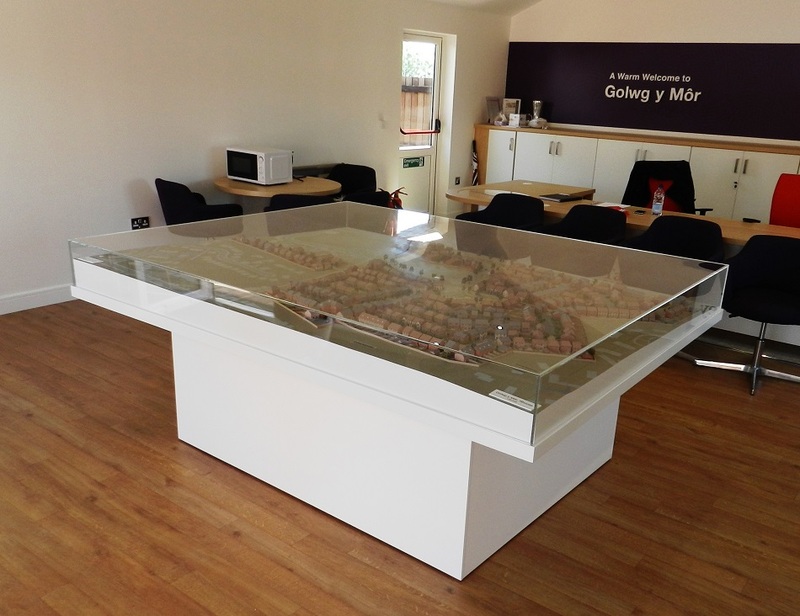 At 2.2m long x 1.7m wide it’s an extremely large model so they had to allow plenty of room for it in their sales office, as you can see in one of the pics above. For big developments like this, 1:250 scale is an ideal choice because it allows us to show a good level of detail without the model base becoming too big to be practical. This was an especially challenging project because, apart from having over 350 units, it was also a steeply sloping site which meant we had to accurately model all the levels and contours, including steps, embankments and retaining walls in virtually all the gardens.